You’d think that riding a motorbike would be a universal skill, with the same style and technique used by riders everywhere in the world. Looking at the vids on YouTube, and those of friends, I have come to the conclusion that this is certainly not the case. Now, I could be here all day poking at people, but for the sake of this I’m going to just include sportsbike riders. More specifically, those from the US and those from the UK. We’ve both got equal representation overall in World class racing, and let’s face it – we ride sportbikes to emulate out on-track heros. When I got my first Yamaha TZR125 from the off I was concerned how far I could lean the bike over. If you’ve never ridden a bike, then the answer is that you can lean a bike over to an unbelievably stupid angle that your brain simply does not allow you to do without significant practise and experience. 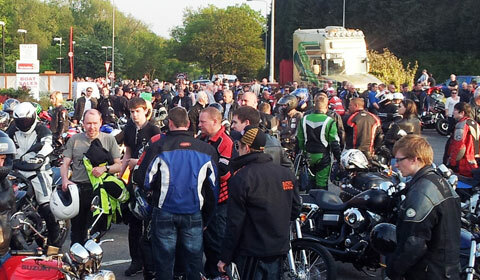 Many bikers, myself included, have crashed where we could have made the corner safely had we just leant it over more instead of panic-braking or going straight on. Even my 1991 TZR would have been awesome in the corners had I had the skill back then to exploit it. I’ve always said that I’d love a go on a 125 again just to see what they’re like in the corners when you can actually RIDE a bike! 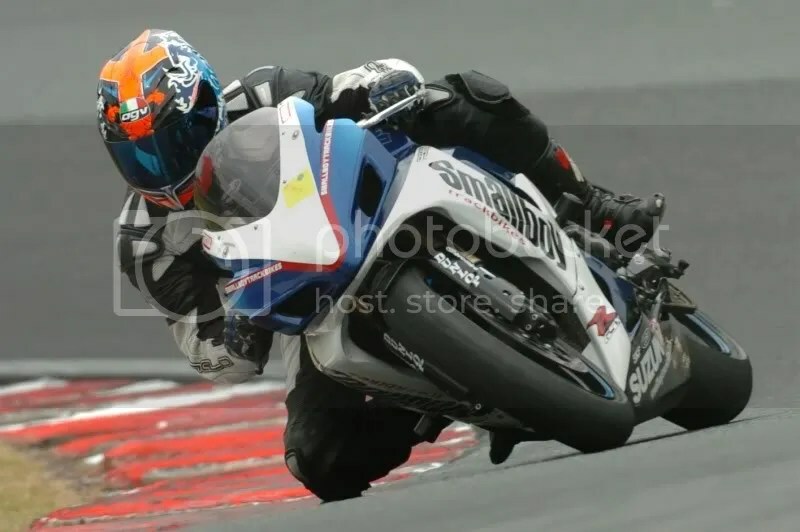 Even though, I did try to get my knee down on that TZR! A lot. For a year. Then I tried for another year on a Kawasaki ZXR400 with no success. I actually did it for the first time on a 1988 Honda VFR750 FG streetfighter with raised bars and a 130 section rear tyre! Once I’d done it, I could do it. I still had the ZXR, and once that was back on the road on the very first run I took it on I could scrape my knees on any corner at any speed at will! I still have memories of riding around The Redditch Cloverleaf with my footpegs scraping as well as my knee – when my knee was still tucked into the tank! Anyway, my point is that doing the two-odd years of my trying to scrape my knee, I read every article and watched every video I could about how to do it, and the biggest factor other than leaning the bike more was Body Positioning. On a bike your body position is vitally important for it’s stability, and in my opinion it’s the first thing any rider should look to perfect to improve their rising skills as a whole. 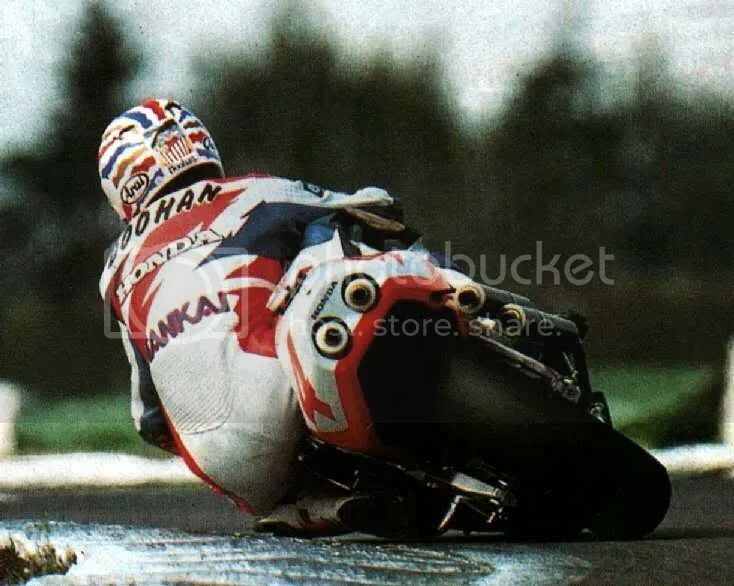 I’ve followed many mates who should have been able to get their knee down but just couldn’t get down that last inch or two whatever they did. Just like I was on the TZR and ZXR. Which brings me to the ‘Merkins. There is an excellent poster on YouTube called rnickeymouse, who films riders on the irrisistable road that is ‘Mulholland Drive’ in California. Unlike the Brits, the Americans seem able to jump on a brand new sportsbike and lay that sucker over on its side like most Brits never build up the balls to do. The problem is that their body position is absolutely terrible! This has the unsurprising result that solid bits of bike touch down whilst the rider sits bolt upright, or twisted in the saddle at an obscene angle, and the bike either grounds out or the suspension runs out of, err, suspension and they highside or lowside. Often without even the lightest scrape of a kneeslider. The idea of getting your knee down… well it’s for fun! But the original function, and as used on a racetrack, is to gauge how much further you can lean the bike over before solid bits of it hit the deck and you crash. So is it that the Yanks just don’t have that same thirst as us Brits for getting their knees down? Maybe they just have no interest in studying how to ride, and just want to get out there and thrape it? Or are Brits too scared to lean their bikes – and could our weather and crappy roads be the cause of that?